Chester the Chest found his new home at the Pediatric Oncology Clinic at Victoria General Hospital. IKCA was able to purchase this training doll for the clinic. Chester the Chest with advanced arm is a teaching tool that the medical staff will use not only for the staff but for families and patients. “Imagine” was a professionally produced ice show. 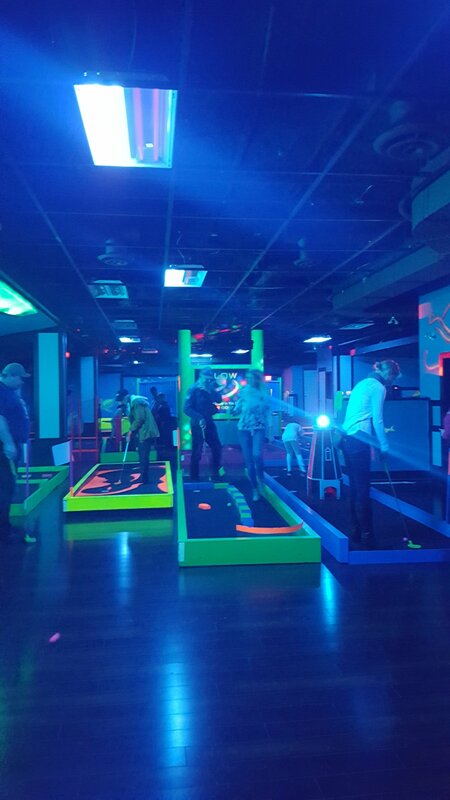 Juan De Fuca Arena was transformed into an amazing setting that was fun for all ages! Imagine the British Rock invasion of the 1960s, under the sea or New York City - just some of the imaginative places they went. The show allowed your imagination to run wild. 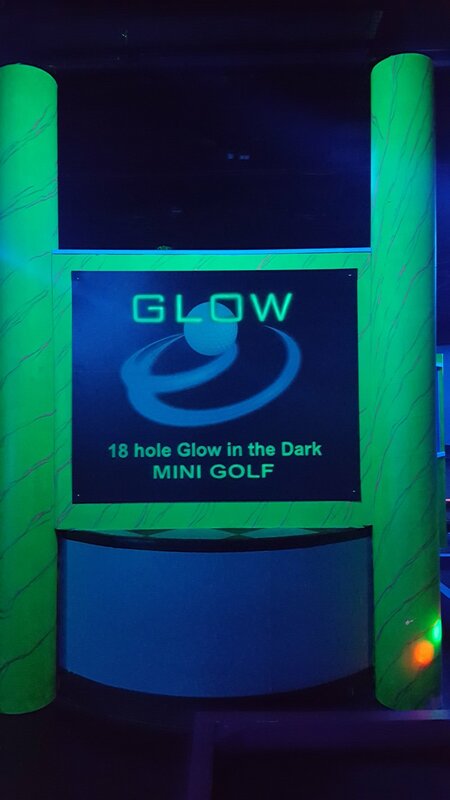 Glow in the Dark Mini Golf at "GLOW"
Island Kids Cancer sponsored a fun filled afternoon at GLOW. 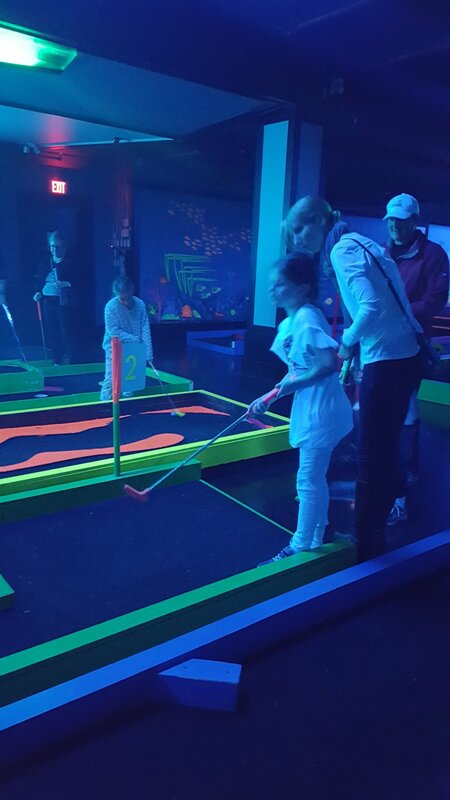 Families enjoyed pizza, refreshments, cupcakes and yes even a few hole in ones! Thank you GLOW, we will definitely be back. 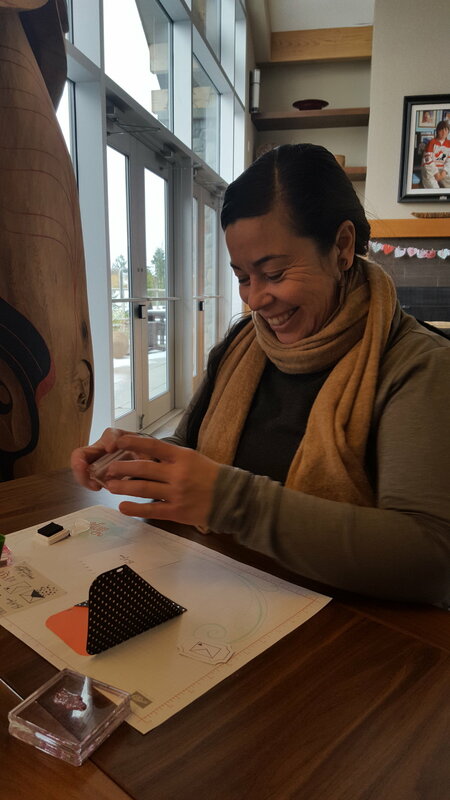 Thank you to the ladies from Stampin Up on this cold crisp day. 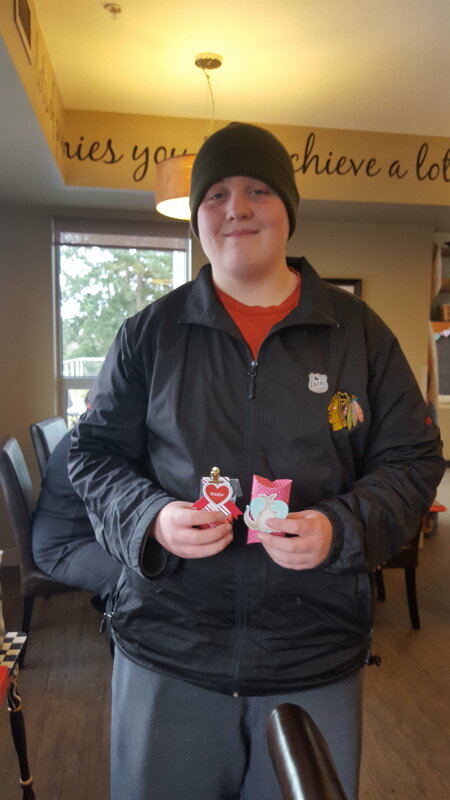 Love was definitely in the air as everyone completed four amazing projects for their special Valentine. 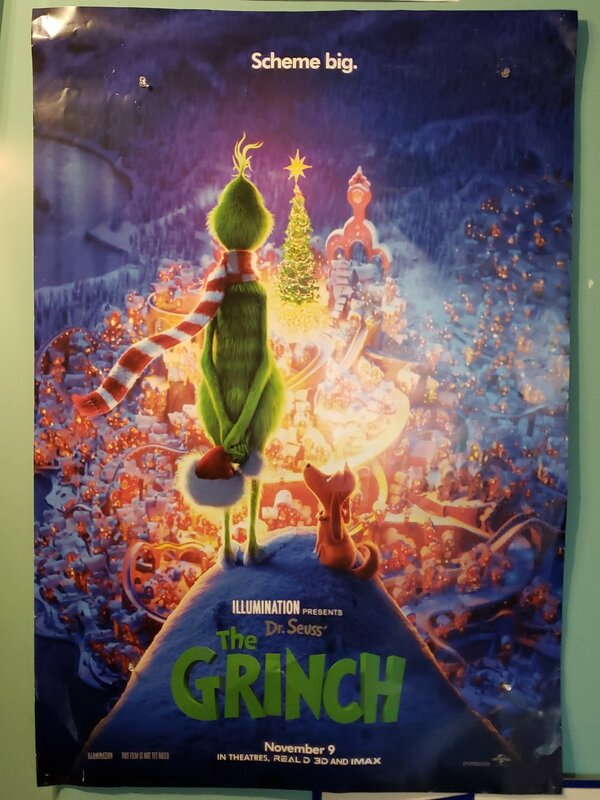 The Pediatric Oncology Families were treated to a private showing of the new Grinch movie. We had a record turn out at 24 families and 92 participants!! It was a seasonal favorite and the Grinch didn't disappoint. Thank you to the Star Cinema and we look forward to many more movies to come!! IKCA 2019 Calendars - on sale now!! This is our 2nd year making calendars filled with stunning art created by pediatric oncology patients at the Victoria General Hospital. All of the funds raised from calendar sales will go directly to support IKCA. Calendars make great Christmas gifts and stocking stuffers! Buy them now before they sell out! Calendars are $10 each and can be purchased in clinic or reserve your copy now by contacting Dr. Ewa at ewa.lunaczekmotyka@viha.ca. Island Kids Cancer sponsored a 4 Cats Gingerbread making Sunday afternoon and it was awesome! The clay took shape quickly and the creations took on personalities of their own. Well done everyone! Even the 4 Cats staff were impressed by the creativity and talent ! The 6th annual “Jam for the Kids” concert fundraiser that took place on October 19th, 2018 at the Belfry Theatre was a great success! The silent auction was bustling, and everyone enjoyed fantastic music from Jaimey Hamilton, The Unfaithful Servants, and Phantom Thieves. A huge thank you goes out to the musicians, the silent auction donors, the Belfry Theatre, and everyone who came out and supported this event! The afternoon session had 18 participants in two big canoes paddling around the lake taking in the sights, scenery and a few of the resident eagles. We look forward to our next kayak outing with Power to Be and getting to know Prospect Lake a little more!